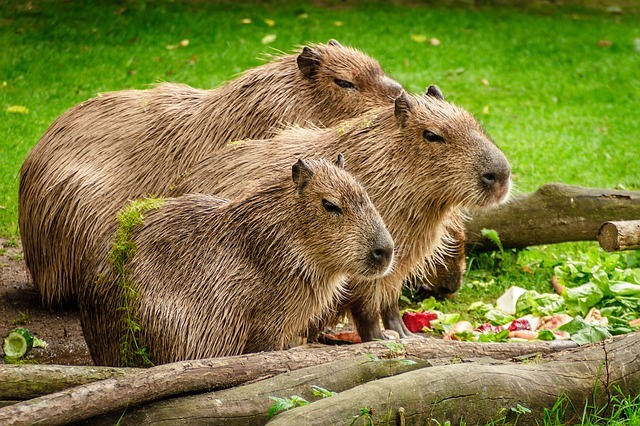 Capybaras live in South America. Because they are semi-aquatic animals, they live especially in the wetter parts of the continent in countries like Brazil or Venezuela, but they are spread more or less throughout the whole continent, with the exception of mountainous Chile. 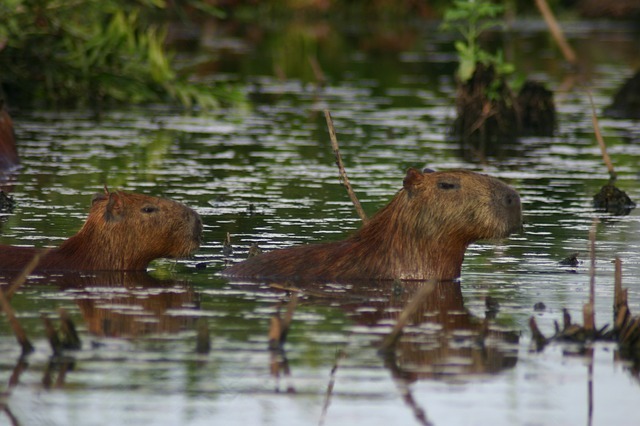 Capybaras will live next to water, preferable next to a muddy river where it will find plenty of aquatic plants as well. Besides getting nutrients from water, they will also use it to protect themselves from predators. They will use dry places to rest. Capybaras are noted for living in groups and their behavior is interesting to observe. 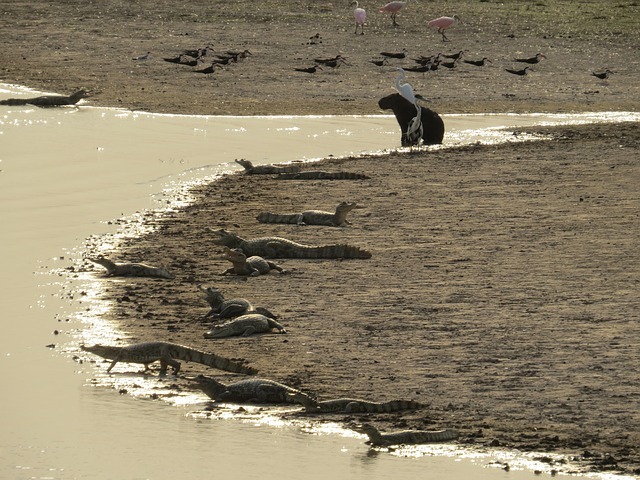 The sizes of the groups are different depending on the season, but it may vary from 10 individuals during the wet season and 20-30 during the dry season, but large groups of up to 100 capybaras were also observed. Usually there is one male for every 4 to 14 female. While the territory a group inhabits varies wildly, it will be between 12 and 50 acres (roughly 5 and 20 hectares). 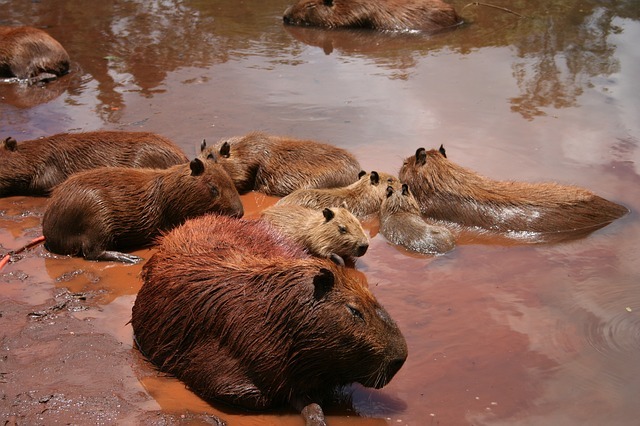 When capybaras are attacked by a predator, the younger members of the group will be protected in the middle of the huddle, while the adult ones will face the exterior. The capybara eats about 3 kg’s of grass a day. During the wet season, when there is plentiful of food, they are more selective, getting 4/5 of their daily intake of food from only 5 grasses. Besides grasses, they will also eat aquatic plants. Particularly when less food is available, they will also eat cultivated land making them an enemy of local agriculturists who will sometimes hunt them. Other than being hunted by humans in some parts, other animals that will eat them are dogs, jaguars, foxes and ocelots. 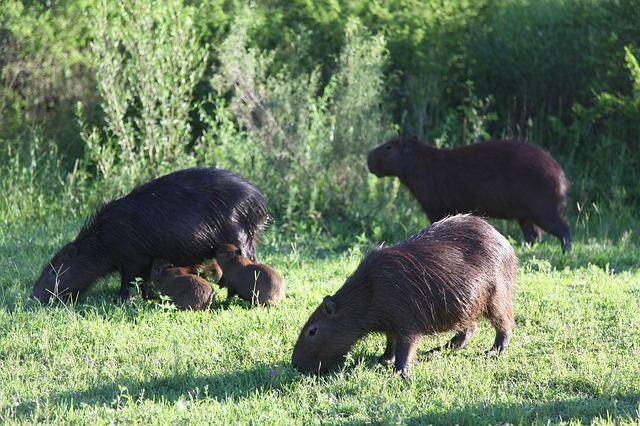 Because their meat can be consumed during lent, capybaras are eaten more before Easter. 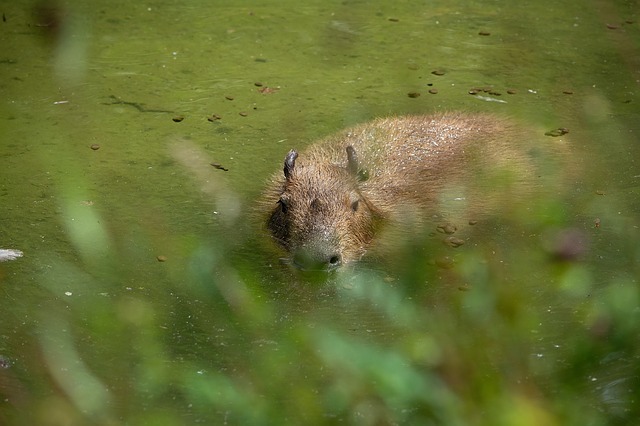 Capybaras are able to stay underwater for five minutes, in order to hide themselves. It is the largest living rodent on Earth. Until 1969, they were also hunted in Brazil for their skin. 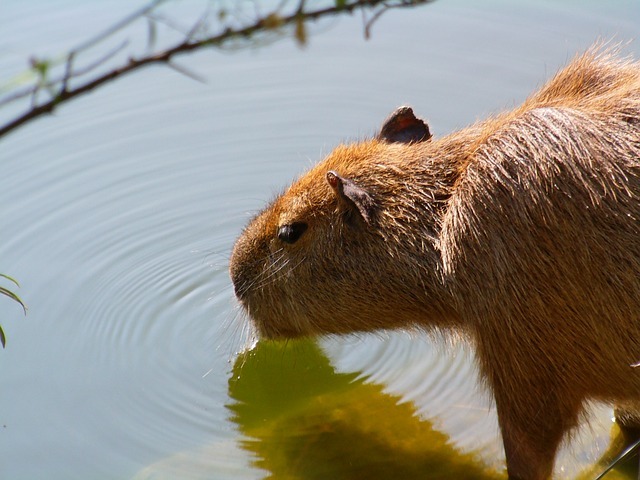 Today, it is prohibited to hunt capybaras in Brazil, while in Venezuela its hunting is regulated. Locals still use to hunt them for their skin and meat. Capybaras are not endangered. According to the International Union for Conservation of Nature’s red list, they are of least concern. As they are rodents, they have a sharp set of teeth and could potentially be dangerous, but they rarely bite humans. 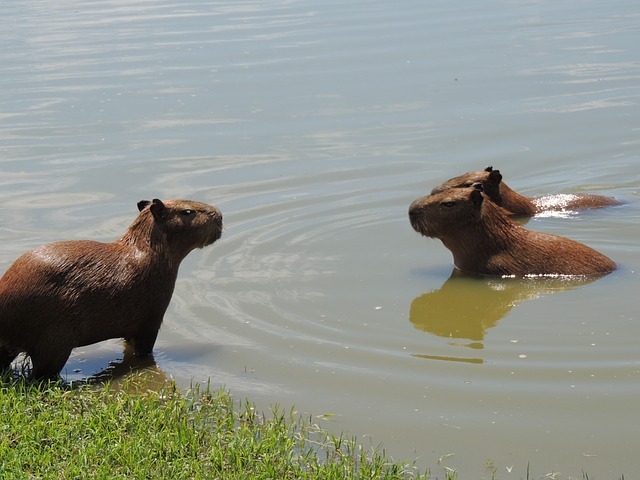 Capybaras got their name from the Tupi language from Brazil. Their literal translation means “one who eats slender leaves”.